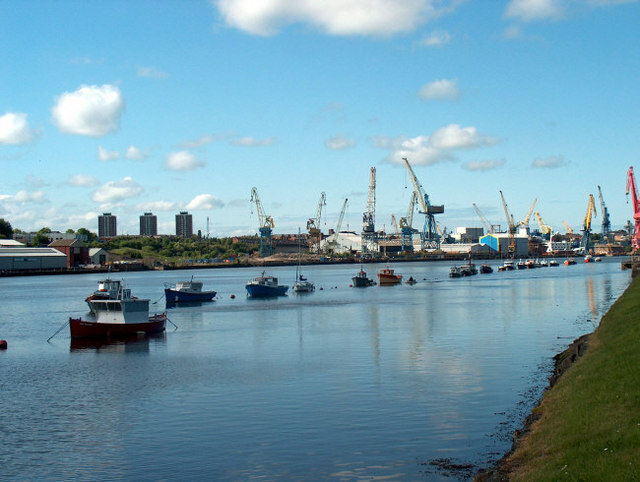 Looking downriver from near the Bill Quay bend (behind the camera) with the cranes of Swan Hunter shipyard, Wallsend on the opposite bank. Sadly this great yard ceased operation in 2006 and the iconic cranes were sold in early 2007. © Copyright Mike Ellison and licensed for reuse under this Creative Commons Licence.